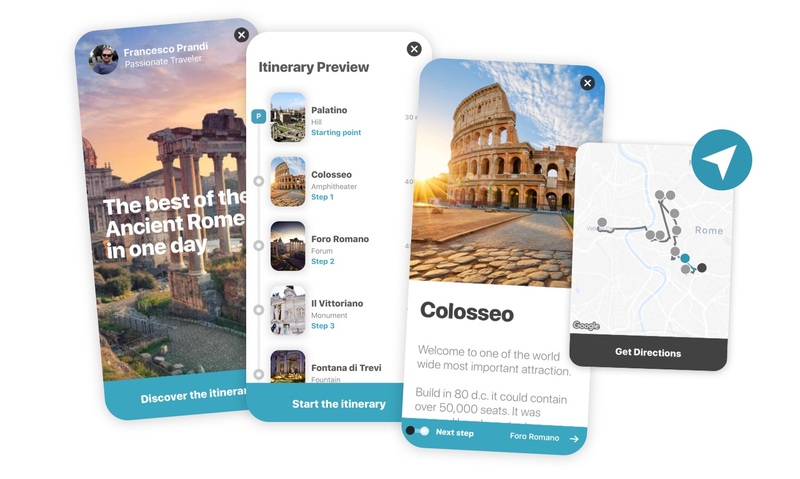 Blink is an immersive travel guide in your pocket. It helps you find the best attractions and experiences in a totally visual and fun way. Instead of getting lost on the net you find all the inspiration ready, so you can focus on choosing your next memorable moments. World is too big and beautiful to waste time searching on the net. How to build a travel app from a sketch to 15k beta usersHey, I am Francesco Fiore here, the founder of Blink, you may have read my previous article about how I became obsessed with undiscovered experiences, and I decided to commit to help people finding memorable moments in the places they live or visit. My obsession with secret places and how it changed my life and other thousandMy daily routine it's pretty simple. I'm a professional designer, and I run my own company in a small village in the middle of nowhere, north of Italy, near Bologna.As for most of the people, business duty pretty much defines and shapes my everyday routine. Would you recommend Blink to a friend? Beautiful design, easy to use features, very inclusive! limited cities upon initial release! I absolutely love Blink! It works very well and includes lots of great features. My favorite thing about the app is the map and the guide feature, it's amazing to see what people have planned for you and what places they suggest you should go to next! Ian has used this product for one week. Michele Pierangeli has used this product for one month. 👋 Hello Product Hunters! :) This is my first time as a maker on Product Hunt, and I'm so excited to share our work with passionate makers and hunters like you. Blink is an immersive travel guide, like Tinder but for places. It helps you find the best attractions and experiences for your journey, in a visual and playful way. 📖 Story I'm a designer from Italy and during the last year after changing my weekly routine and taking new routes I started to challenge myself and friends with a question: Do we know what's around us? Going deep, talking to many people, I realized that many of us don't have a deep connection with the places we live. I grew a passion for helping people find hidden places and discover new experiences in the areas they live or travel to. I decided to challenge the idea of travel guide and make it fun and easy to use for everyone. No more getting lost searching on the web and between blogs, or reading outdated traditional guides! I designed a unique editorial model that considers different angles to match the intrinsic characteristics of places with the user needs. On top of that, I strived to build the more slim and immersive UI I could to make the discovery experience exciting and fun. 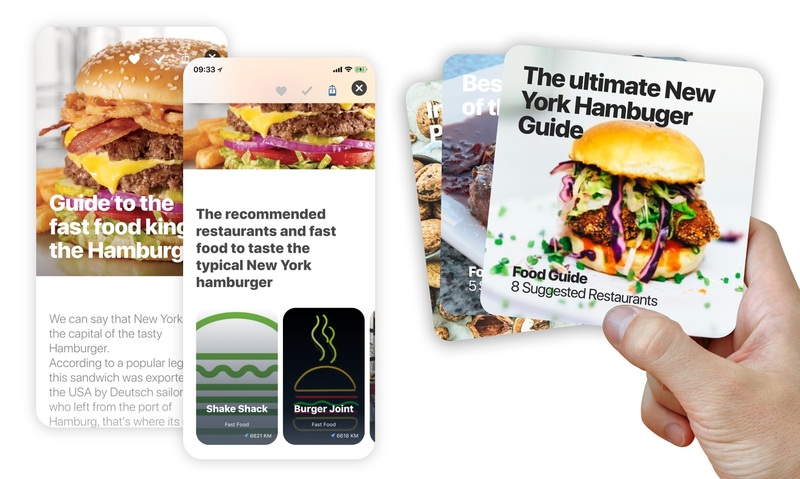 👉 Features One finger discovery ✅ Blink is a magical one finger visual discovery of attractions, food, and experiences. It helps you find the best inspiration and have fun while planning your trip. Guides ✅ Blink includes Guides about typical food, districts, art and local icons. Each guide has its specific suggestion: for example, a typical food guide features the best restaurant for it. Itineraries ✅ Step by step guided itineraries with detailed information for each attraction, time schedules, transportation info, and map. 💰 Revenue Blink has a freemium model, while all features are always accessible, some Itineraries are Premium content. We have exciting plans for the future to build models on other parts of the traveler customer journey. 🖍 Design Real paper + Sketch as main design tools. Interviews and surveys for customer research. Prototyping with Invision first, then the first functional web prototyping built with node.js, jade, CSS, jquery + Parse Server. Itinerary feature was first prototyped using Framer.js ( proto here: https://framer.cloud/PqEWE ) 🛠 Making I built the App with Swift and iterated on the iOS version up to now. The web app runs on Node js, built with Express.js, Pug, CSS, Jquery. I've written the backend using Parse Server, MongoDB, Redis server-side for the cache. Android is in beta catching up written by a friend and colleague. This is a medium post for more details about our making journey. https://medium.com/@thisfiore/ho... 🚀 Now Blink is available in NewYork, Rome, Paris, London, San Francisco Bay, Sicily, and other fantastic new areas of the world are coming every month. More than 5k+ travelers used the iOS beta and rated us 4.8/5. Blink is available also for Android (now, in beta) and as a website for any Desktop users. 💌 For you We designed with the idea to make your life better with the places of your present and the future. This is a special coupon for you Hunters: "PRODUCTHUNT". You can unlock five premium content for free with it, for your next trips, to use whenever you want! Thank you for any feedback and question! We are here to share more about our 👶 baby first steps with you! @serradino Thank you so much for your love Mic! We're so excited to see our hard work getting positive feedbacks. Personal pet peeve: the "on steroids" meme. 😂 Otherwise, nice job on the design. Looks polished. 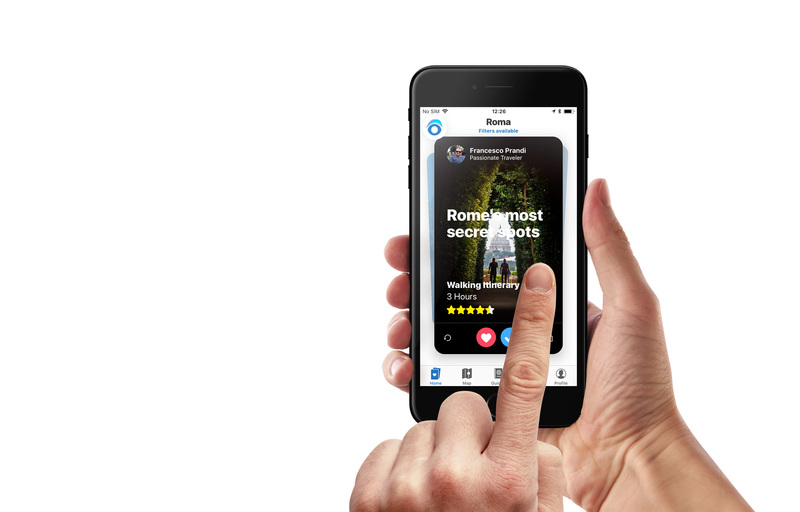 @rrhoover Do you think it fits better "Immersive travel guide, tinder for places" ? Thanks for the feedback on design, been working hard on it, appreciate it! It could be cool if your local friends could tailor the trip for you. For example based on the time you have getting locals tips on what you should really visit/eat and what you can skip. Personally don't like the association with Tinder. Great design! Buona fortuna! Which is the best app for finding activities to do in your city?